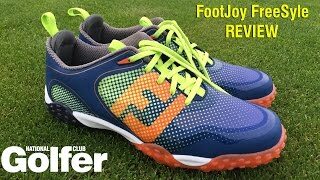 As a loyal footjoy customer I'm disappointed with these. 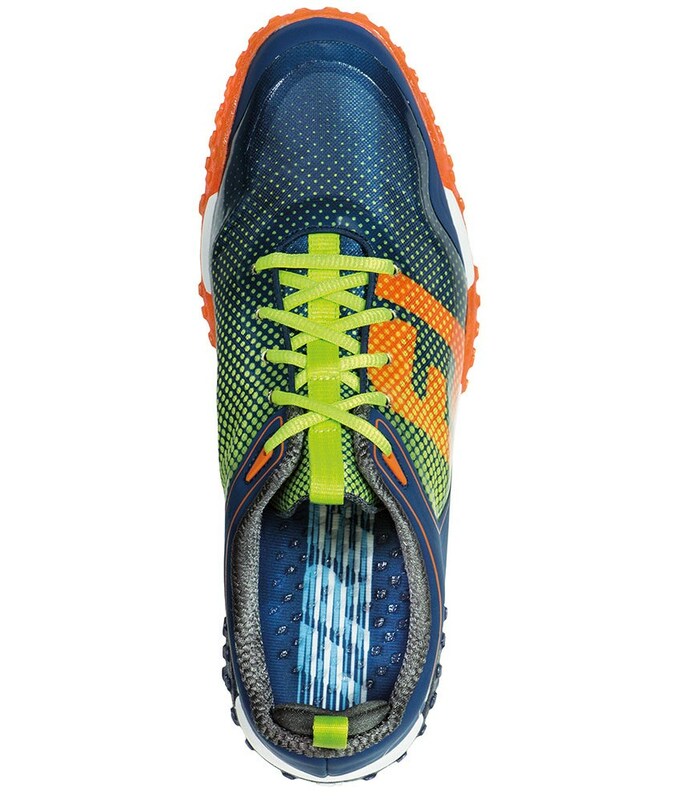 After a handful of games the spikes are peeling away from their anchor points and the sole is too flexible and rolls under my forward foot. The insole is also not sturdy enough as you can feel the spikes when standing on tarmac. 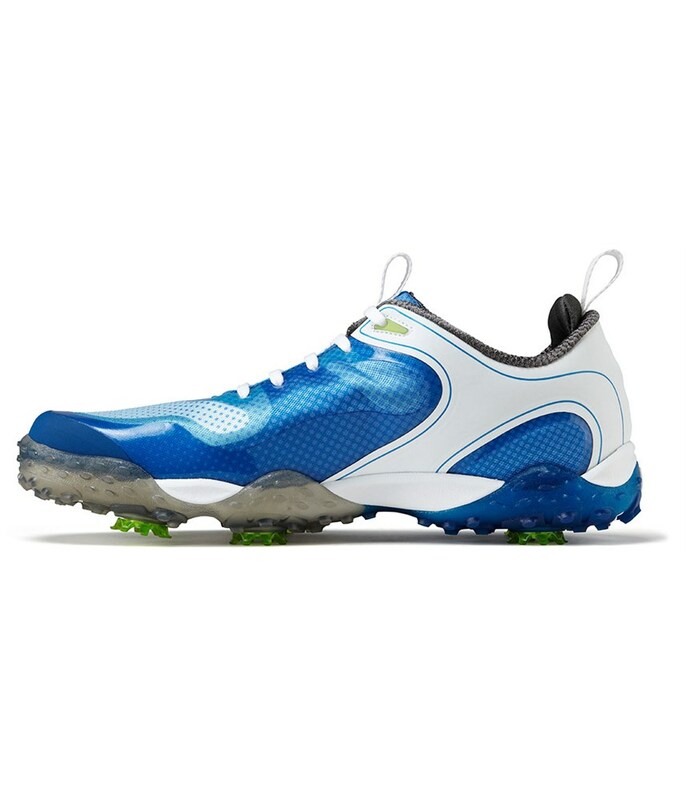 Thankfully they're fine on the course itself but given when I was once fitted by footjoy and they talked about the importance of not feeling the spikes I'm shocked. 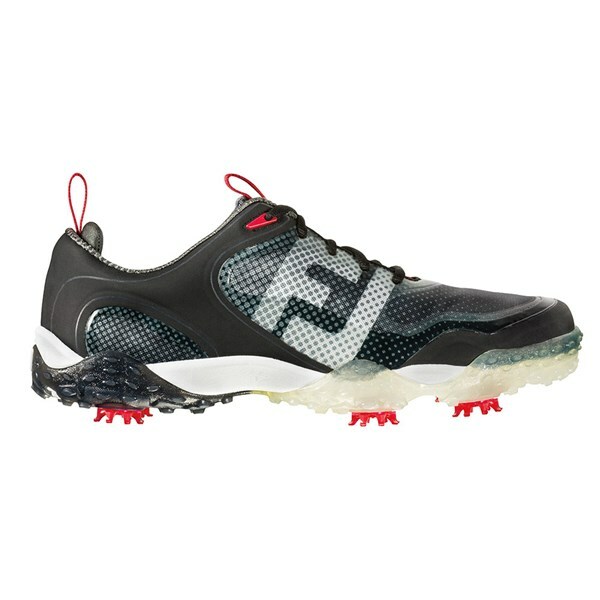 I've always worn footjoy as they are instantly comfortable out of the box but these have made me buy a pair of adidas which also come with a 2 year waterproof warranty instead of one. 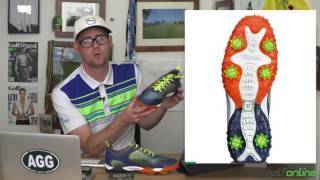 The most comfortable golf shoes ever created! Be careful about the size, I usually order 10 and for those, a 9 was the perfect fit. Sleek, snug, soft, stable and suited to all swings. 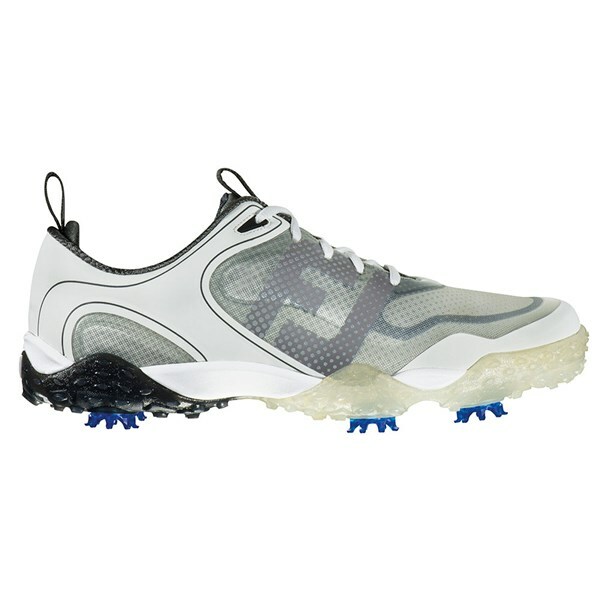 If you are in the market for a premium new golf shoe that offers flexibility, stability, comfort and an athletic style. 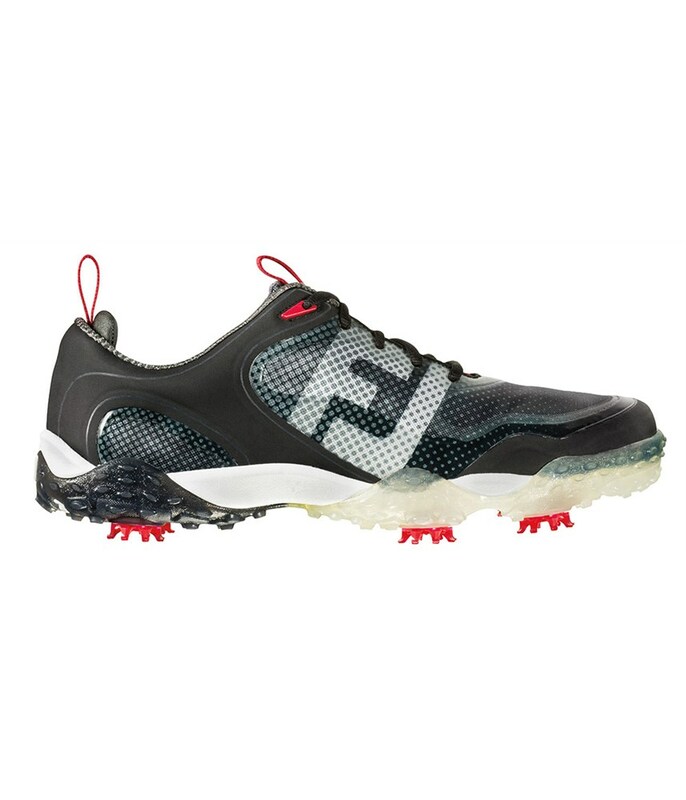 The Freestyle Golf Shoes from FootJoy not only offer incredible styling but have an incredible amount of technology that will provide exceptional grip on all lies, super comfort cushioning and all round performance that will enhance every area of your game. 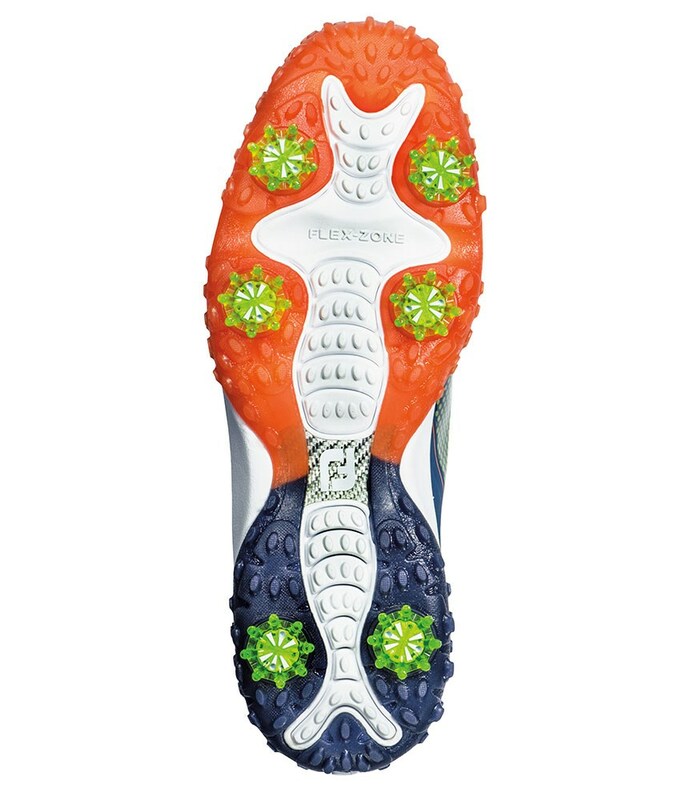 The Freestyle is super bendy and flexible which will give you greater grip and control throughout the golf swing. 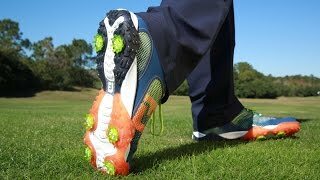 This will then give you the stable base to generate more power from your swing. 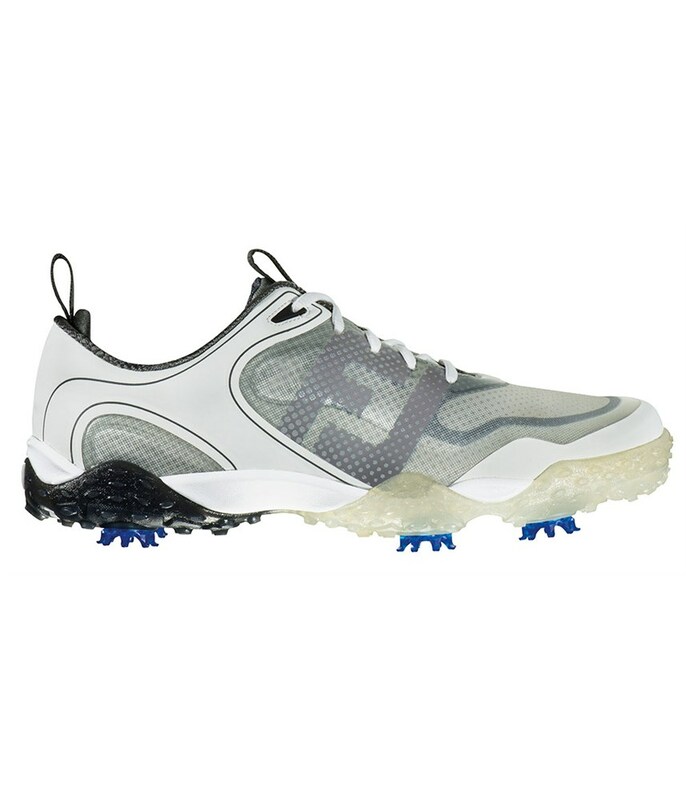 The lightweight performance mesh upper provides flexibility and support to the foot for incredible comfort that will reduce foot fatigue whilst walking 18 holes of golf. FootJoy have used SoftMax moulded rubber outsole unit which utilises the brilliant Pulsar cleat system to provide extreme traction on all kinds of lies and surfaces. 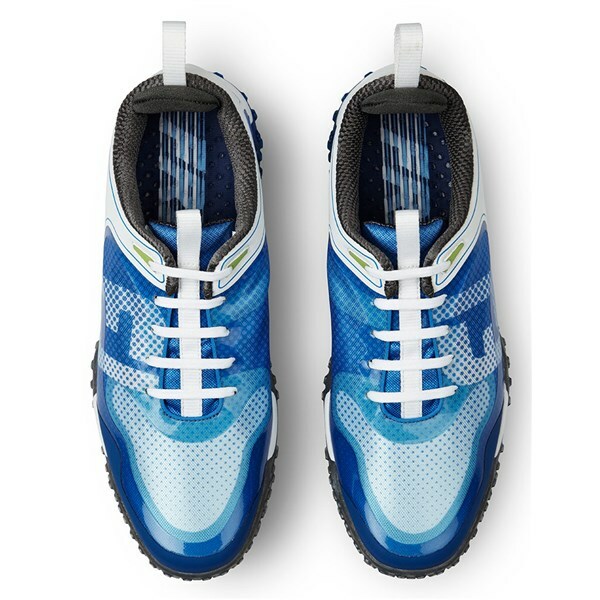 Lightweight Performance Mesh Uppers - Lightweight performance mesh uppers provide the optimum in breathabilty and comfort. 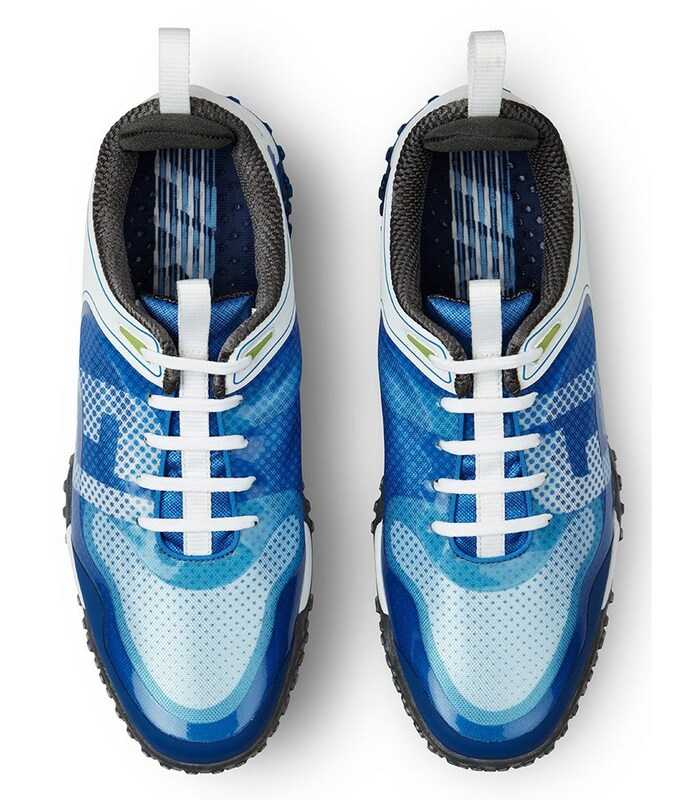 InnerSok System - InnerSok System offers achilles pad for additional support. 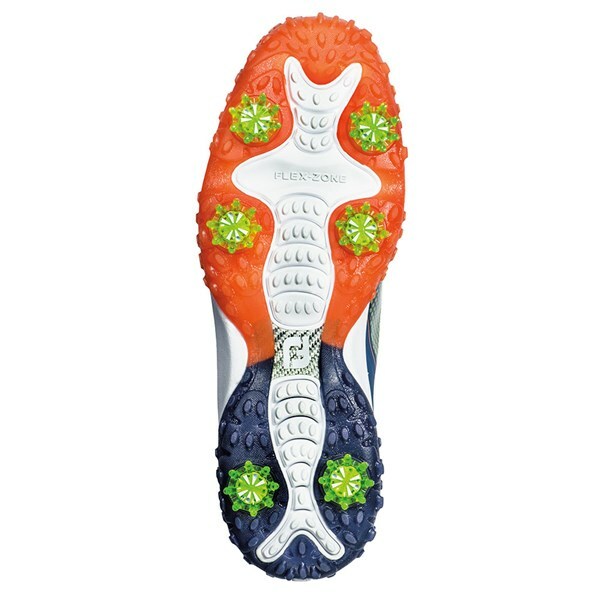 Tongue-Lok Instep Grip - Tongue-Lok Instep Grip ensures additional slip-resistant fit in a key location under the tongue. F.R.O.G.S. 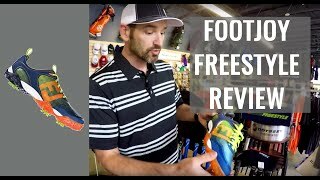 Outsole - F.R.O.G.S. 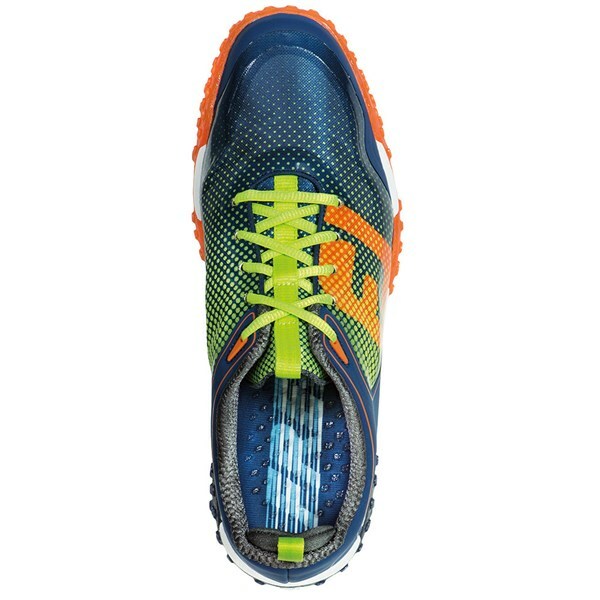 Outsole is constructed utilizing SoftMax™ molded translucent rubber delivering soft cushioning and complete mobility. 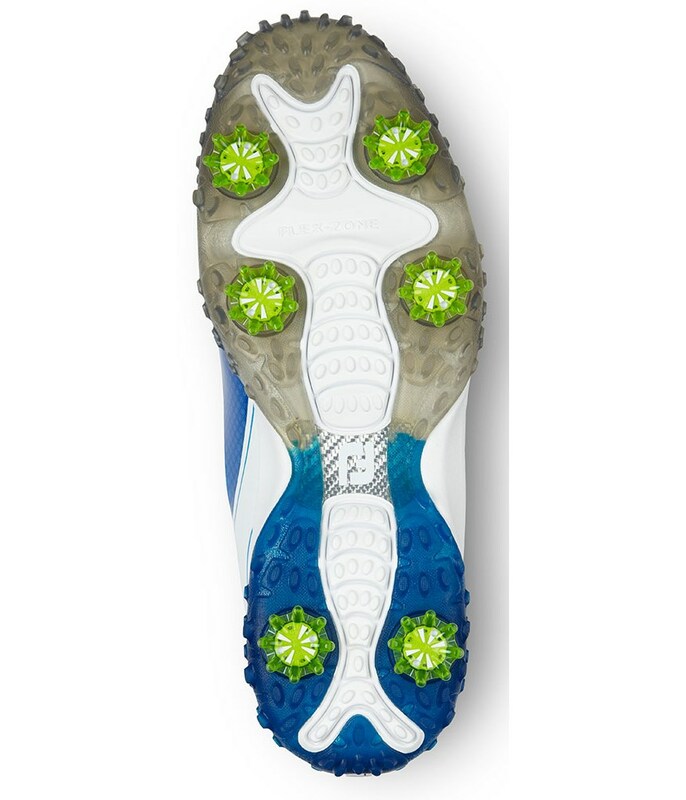 The Pulsar cleats feature dynamic cushioning and green-friendly traction.